2. 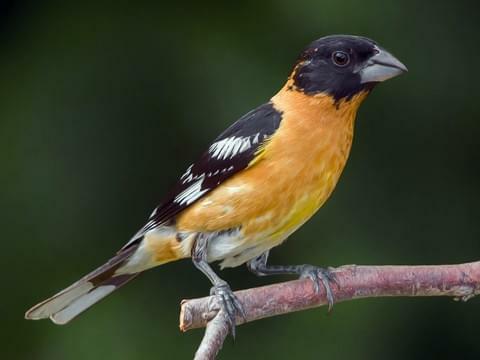 A male black-headed grosbeak came to one of the birdfeeders. 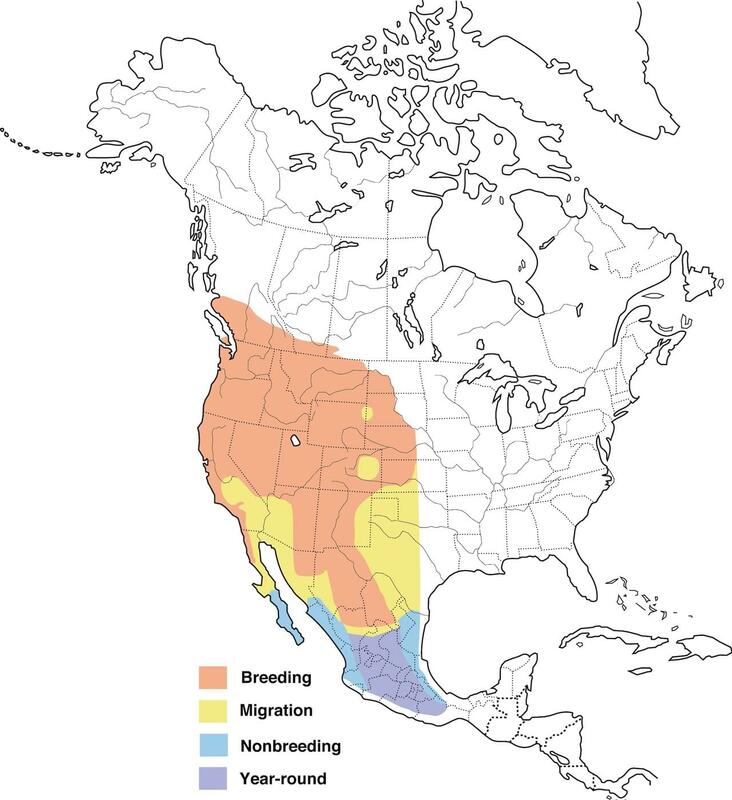 They breed here, so that's a sign of changing seasons. And they sing like a robin who has had professional training. 3. It rained a little. A whole tenth of an inch. What does it tell you that a tenth made me deliriously happy? Like maybe no Red Flag warnings (high fire danger) for a day or two? 4. Also, I saw a band-tailed pigeon, another summer resident, fondly remembered as playing a part in an odd pigeon-related encounter some years ago. 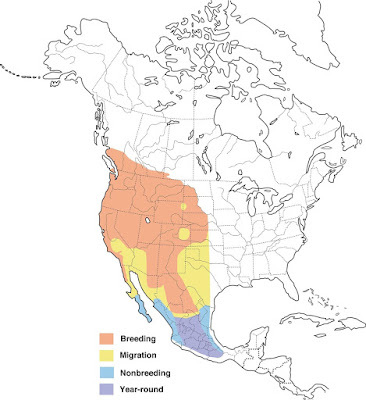 Black-headed grosbeak range map (Cornell Lab of Ornithology).